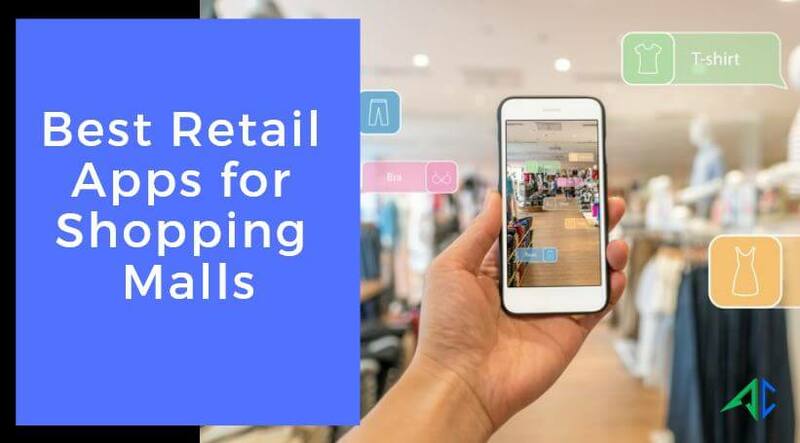 In this blog post, we have picked the best retail apps for shopping malls and described how they are catering retailers and shoppers. Shopping should be full of fun and joy, whether you are doing it online or visiting your favorite mall. Majority of people nowadays believe that shopping malls are losing their fame caused by rapid growth of e-commerce services. However, it is true to some extent, but shopping malls have also adopted some powerful strategies to cope with today’s competitive digital business world. Fastmall is the most popular shopping mall app in US. It lets shoppers navigate any nearby malls even without using GPS or WiFi. It includes an interactive map and guides shoppers while finding stores, restroom, dining and lots more. The app lets shoppers remember the parking place of their vehicles, write feedback about shopping stores, etc. Whether shoppers wish to use a wheelchair or baby stroller inside the mall, Fastmall lets them avail all these without any hustle. Westfield Shopping makes shoppers entitled to explore a pleasing shopping experience, whether they are doing it from comfort of their home or in the shopping center. It guarantees them to get most out of their visit to their favorite malls for shopping. Its interactive map lets you discover the shortest route of any specific store, restaurant, restroom, movie, etc. Shoppers can in fact browse through a wide list of products and save their favorite ones at the same time for future shopping. The app is available on iOS and Android platforms. Access complete information of center and store. Find hottest deals and discounts. Get information about movie time, shop tickets and watch movie trailers. Smart parking solution for shoppers. Using Mall of America helps shoppers organize their mall visit in better way, with to-do list. It is equipped with the map and helps them make their visit and discover a shopping experience like never before. It enables shoppers to find retail stores, restaurants, events, deals at the most popular shopping mall. In case of getting advice, shoppers can just click to the test with their own digital concierge. The app is available on iOS and Android platforms. Shoppers can quickly browse through 500+ stores. Discover delicious dining after shopping. Use map to navigate around the shopping mall. Advanced parking feature helps shoppers remember the parking place. You may also like to read: How Shopping Mall App helps Owners and Retail Business Increase Sales? It is a must-have mobile app for every shopper. Simon lets shoppers make their shopping experience unforgettable whether at living place or shopping center. They can find the latest news, entertainment, dining and many other important options easily. It in fact allows shoppers to get in touch with the shopping center through social networks like Facebook, Twitter and others. Never miss any deals and events by adding them to the calendar. Browse services and various amenities. Check balance of gift cards. Shoppers can provide feedback within the app. Discover mail hours, driving route and direction, local weather condition, mall contact information and lots more. The app equally focuses on needs of both retailers and shoppers and caters them in the best manner. It helps retailers send promotional messages, lucrative deals, discounts to entice numbers of customers. On the other hand, it helps customers explore the latest offers matching their interest. They can easily locate their parking space through the interactive map and make their shopping experience wonderful. The app covers a wide locations and gives shoppers an opportunity to find mall near them. It helps retailers discover their potential customers easily. Retailers can directly send promotional messages to shoppers to encourage them for shopping. Retailers can promote their products and services through in-app stores. Shoppers can get updated with the latest happening in the mall and more. Best Buy is another popular retail app that lets retailers draw attention of shoppers while visiting app. Retailers can encourage shoppers to view details of the products through the bar codes. The barcode scanner also simplifies the process of selling products and helps retailers see the progress in their sales figure. They can scan the barcode through device camera. Besides, it helps retailers check the purchase history of customers and offer the best deals to encourage them for shopping accordingly.